Родился 6 марта 1959 г. в г. Горьком. 2009 — Защитил докторскую диссертацию « „Сканирующая зондовая микроскопия твердотельных наноструктур“. С 2000 года ведет спецкурс (3 Мбайт) Сканирующая зондовая микроскопия (4,8 Мбайт)(3 MB)» для студентов ННГУ им. Н. И. Лобачевского. В.Л.Миронов, С. В. Миронов — « Пространственно-временные седеоны и их применение в релятивистской квантовой механике и теории поля«, 2014. V.L.Mironov — «Основы сканирующей зондовой микроскопии (4,8 Мбайт)» (3 MB), 2004. A.K.Vorobiev, Y. N. Drozdov, S. A. Gusev, V. L. Mironov, N. V. Vostokov, E. B. Kluenkov, and S. V. Gaponov — Study of correlation between the microstructure and phase inhomogeneities of Y-Ba-Cu-O epitaxial films and their DC and microwave properties. // Supercond. Sci. Technol. 12 (1999), p. 908−911. V.L.Mironov, B. A. Gribkov, A. A. Fraerman, S. A. Gusev, S. N. Vdovichev, I. R. Karetnikova, I. M. Nefedov, I. A. Shereshevsky — MFM probe control of magnetic vortex chirality in elliptical Co nanoparticles // Journal of Magnetism and Magnetic Materials, 312, 153−157 (2007). A.A.Fraerman, B. A. Gribkov, S. A. Gusev, A. Yu. Klimov, V. L. Mironov, D. S. Nikitushkin, V. V. Rogov, S. N. Vdovichev, B. Hjorvarsson, H. Zabel — Magnetic force microscopy of helical states in multilayer nanomagnets. // J. Appl. Phys., 103, 073916 1−4, (2008). V.L.Mironov, O. G. Udalov, B. A. Gribkov, A. A. Fraerman — Comparative x-ray reflectometry and atomic force microscopy of surfaces with non-Gaussian roughness // J. Appl. Phys., 104, 064301 1−7, (2008). V.L.Mironov, A. A. Fraerman — Interaction of a magnetic vortex with non-homogeneous magnetic field of the MFM probe (1,7 Мбайт)(1,7 MB) // Review book «Electromagnetic, Magnetostatic, and Exchange Interaction Vortices in Confined Magnetic Structures», Editor: E. O. Kamenetskii, ISBN: 978−81−7895−373−1, and Publisher, Research Signpost, p. 159−175, (2008). V.L.Mironov, S. V. Mironov — Octonic first-order equations of relativistic quantum mechanics (170 Kбайт) (170 kB) // International Journal of Modern Physics A, 24(22), 4157−4167 (2009). 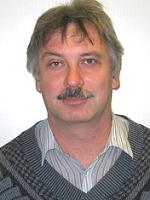 V.L.Mironov, S. V. Mironov — Sedeonic generalization of relativistic quantum mechanics (210 Kбайт) (210 kB) // International Journal of Modern Physics A, 24(32), 6237−6254 (2009). V.L. Mironov, O. L. Ermolaeva, S. A. Gusev, A. Yu. Klimov, V. V. Rogov, B. A. Gribkov, O. G. Udalov, A. A. Fraerman, R. Marsh, C. Checkley, R. Shaikhaidarov, and V. T. Petrashov — Antivortex state in crosslike nanomagnets // Physical Review B, 81, 094436 1−5 (2010). V.L. Mironov, O. L. Ermolaeva, E. V. Skorohodov, and A. Yu. Klimov — Field-controlled domain wall pinning-depinning effects in ferromagnetic nanowire-nanoislands system // Physical Review B, 85, 144418 1−9 (2012). V.L. Mironov, O. L. Ermolaeva, E. V. Skorokhodov, and J. A. Blackman — Magnetostatic interactioneffects in an ordering hexagonal array of ferromagnetic nanoparticles // Bulletin of the Russian Academy of Sciences,Physics, 77(1), 32−35, (2013). V.L.Mironov, S. V. Mironov — Reformulation of relativistic quantum mechanics equations with non-commutative sedeons // Applied Mathematics, 4(10C), 53−60 (2013).